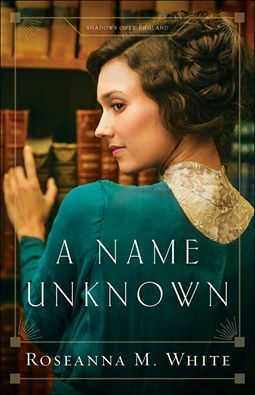 A Name Unknown (2017) by Roseanna M. White is the first novel in the Shadows Over England series. This novel comes in all forms including eBook, and is 428 pages in length. With a full-time job and a precocious five-year old at home, this novel took me four days to read. I give this novel 5+ STARS. This story is a Christian Historical Romance. I absolutely adore Roseanna’s Ladies of the Manor series, so when I heard she was writing another series set in England I could not have been more excited. A Name Unknown is set in England in 1914 right before, and leading into, war being declared. The interweaving of history and fiction in this novel is stellar. It is obvious that Ms. White was thorough in her research for this book, as she is for all of her works. The main characters in this novel are Rosemary and Peter, and they are truly endearing from page 1. Peter is a wealthy aristocrat who has the ear of the king. One of Peter’s problems is his last name — Holstein. With Europe moving towards World War 1, having a German name and heritage, and having the confidence of the king, spells serious trouble for Peter. He has enemies who want to destroy him, and anyone else of German descent. Peter, in fact, actually has three things going against him in this book: he is a total introvert, he has a stutter, and he is of German descent. These characteristics coalesce into him being terrorized by some very loud bullies in the British upper class in London, and at his home in Cornwall. At home, the townspeople believe he thinks he is better than they are — his introverted ways are mistaken for snobbery. They think he is odd because of his stutter, which means he’s been made fun of his whole life. And, because of his German heritage, a group of very angry Brits vandalize his home twice. Peter’s conflict in this novel is that he has lost all of his paperwork: the deed to his home, his father’s will, his naturalization records, etc. He needs to find them quickly so he can prove his British citizenship and his loyalty to his country. The real problem is his “library.” Peter’s family has had a bit of a hoarding problem, and his “library” looks more like a dark cave filled from floor to ceiling with books, papers, and other sundry materials. He needs help, and help fast…enter Rosemary Gresham! Rosemary is one of 13 orphans who have banded together over time to create a family. This novel is a nod to Oliver Twist. Each member of Rosemary’s family has a unique talent that allows the family to survive London and stick together. Rosemary is a thief, but not just any thief. She is a GREAT thief. And her skills are purchased at the start of this novel by a mysterious Mr. V. He is sending Rosemary to Peter’s home in the hopes that she will find evidence to prove Peter’s disloyalty to England. She arrives on Peter’s doorstep pretending to be a librarian come to help him fix the problem that is his library. Rosemary arrives at Peter’s house a very broken, exhausted woman. But, as she gets to know Peter and the God he serves so faithfully, Rosemary blossoms into a fantastic woman. I love so many things about this book. First, I love that the characters got to know each other and become good friends by writing letters back and forth to one another. Because of Peter’s stutter it is easier for him to communicate through his writing. Throughout the course of their time together, Peter and Rosemary write over 70 letters to each other. Talk about a truly unique way to court a girl. Peter and Rosemary are physically one room apart during most of this novel, but their letters make them feel as if they are sitting side by side. Through the letters, the characters become so real. And, because of this, when the characters interact more and love enters the picture, it doesn’t feel fake or contrived. Peter and Rosemary make a really awesome couple because they are such good friends first. The second thing I love so much about this book is Rosemary’s journey to God. Her life has been devastatingly hard since she was 8 years old. Her parents both died and she was left to fend for herself on the mean streets of London. Rosemary is convinced that God does not love her, and doesn’t even notice she is alive. She struggles to create a relationship with God because SO much bad has happened to her that she is sure that God only hears the prayers of those like Peter. There are moments in this novel that had me in tears. My heart hurt so badly for Rosemary. I wanted to reach into the book and give her the biggest hug. In one of her early letters to Peter, she asks him to pray for her little sister who is in hospital. She writes, “Perhaps God will listen to you,” which Peter then infers means she doesn’t think God will listen to her (155). This is one of the saddest parts of the book!!! But, by watching Peter, and reading his letters where he talks so passionately about God, Rosemary does thaw towards God. She tests Him out and finds that God is her true Father. Watching Rosemary overcome her sorrow, pain, guilt, and anger is one of THE best parts of this book. When Rosemary gives her life to God near the end of the book, I sobbed. The best part of this book, for sure! And, lastly, I absolutely loved how Peter would get lost in his own fictional worlds. Peter is a novelist. In fact, he is one of the best-selling novelists in England, but no one knows this except Gryff, his best friend since birth. There were several moments in the story where Rosemary would try to talk to Peter, but Peter would be lost in the current fictional world he was busy creating. What I really loved the best about this is that Ms. White admits in her A Note from the Author chapter that how Peter loses himself in his thought processes for his stories is how she processes her own stories. It’s really cool to see the author through her main character. These moments in the novel where Peter “disappears” into his fictional worlds are some of the funniest! A Name Unknown is a FANTASTIC story. Finishing this book was bittersweet — glad I had read the book, but sad it ended! I highly recommend this novel, and I recommend you keep some tissue close by while reading. You will find it comes in handy! I am very excited to read book number 2 in this series, A Song Unheard, which is to be released on January 2, 2018. This novel will tell Willa’s story, another one of Rosemary’s sisters. You do get to meet Willa in A Name Unknown, but you only really get to meet her in small doses. What you do learn about Willa in book 1 is that she is a phenomenal violinist. Very excited to see how she will use her gift to help her family in book 2! I received a free copy of A Name Unknown through the Litfuse Publicity Group. This has not influenced my opinions in this review. All opinions expressed in this post are my own. In May, I had the pleasure of interviewing Roseanna about this book. If you missed that interview, click here to read through it! Click on the image below to see contest details! 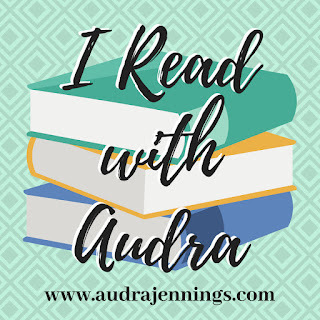 A Fun Opportunity for Readers Begins Tomorrow! First-Line Fridays — Coming 8-4-17! I wish I were a phenomenal writer. This way I would have the words to express how excited I am to start reading this series.